James, born on 15 February 1888 at Kensignton in Timaru, was the son of Joh and Ellen Courtney (nee Keane). James married Elizabeth Amy Cartwright on 25 October 1911. The couple had two children, Frederick James (b. & d.1912) and Joyce Dean (b.1920). James, a police constable, enlisted in June 1915, joining the Wellington Infantry Battalion. While training he was promoted to Corporal, then Sergeant before embarking from Wellington. He left with the 7th Reinforcements, Wellington Infantry on 9 October 1915, headed for Suez. In early January 1916 Courtney reverted to the ranks temporarily, but soon rose back through the ranks to Sergeant by March. Later in the year he was briefly a temporary Company Sergeant Major, before being sent to Officer Cadet Battalion at Pembroke College in Cambridge in November 1916. 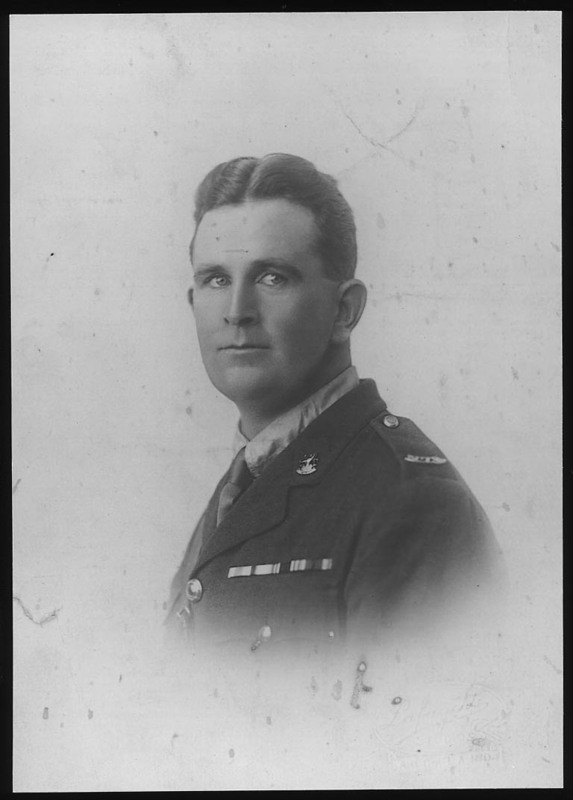 Three months later he had made 2nd Lieutenant and was seconded for duty in New Zealand. In April 1917 he embarked from Plymouth for New Zealand on the RMS Tanui. In July he reported back to duty at Trentham camp. Later he returned to the European war on the Athenic in June 1918. In France Courtney had reached the full rank of Lieutenant, before leaving for New Zealand to be demobilised in May 1919. Following the war, in 1919, he was successful in a ballot for 83 acres Waiari Soldiers Settlement, 3 kilometres up Te Matai Road (reported in the Te Puke Times). Jmaes also became a foundation member of the TePuke RSA and served as Vice President. James died on 22 June 1934 at TePuke, aged 46. Later, in 1939 his widow, Elizabeth, married again in 1939, to William Crellin. She dies in Auckland on 14 September 1954.